1 Instructions ….. Tricky things! One man’s’ good instructions is another man’s bad ones (or ladies) and this changes constantly as to what customers perceive are good or bad instructions. We try hard to give all the information we possibly can on all our products. All our products are designed for self assembly but they do require some DIY skills and tools. We can’t make every possible element 100% clear for everybody and all the varying abilities people may have so please have a read through this post and see what you think and whether the level of instructions you are likely to receive is enough to carry out your build. Build took 9 hours for me a novice and a very good Joiner friend that was to get the walls up and roof on and 90% of the roof tiles in place , to get the cabin watertight spent 2 hours the next day cutting roof tiles for the 4 ridges and fitting , All in all 11 hours and the cabin was fully erected and roof tiles in place . My wife & I constructed the cabin with virtually no assistance in 5 days which went well. We did have a few questions during the build & we got immediate feedback & help from Richard who could not have been more helpful & encouraged us with the work. Unfortunately a lot of the instructions do relate to standard build log cabins and you do have to work out some things yourself. 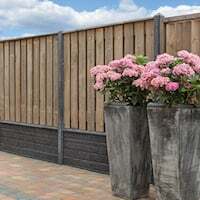 However reading the blog on Tuin web site helped a lot. Now that it is completely assembled, it looks fantastic, but getting there was a little stressful. 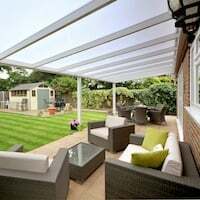 It’s not as easy as we thought it would be – the instructions aren’t that great, which doesn’t help, and be advised that you will need to use a saw on the floor beams! We can’t please everybody …..
Before you decide to install yourself please have a look at the following example set of instructions. These will be similar to the instructions received with many of the products. 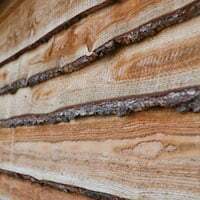 You will need an understanding of the inherent properties of timber. You will also need expect to use a ladder on our buildings and working from some height you may want to consider the use of step ladders, scaffolding and harnesses. We would expect you to have understanding of this if carrying out an install yourself. You may also require other tools for our buildings such as stanley knives, pilot drills, hole drills, power tools, planer, bits such as torx. All normal tools an average DIYer will carry. Please expect to have to drill holes in some products, roof boards will sometimes need trimming in the case of our buildings as will floorboards. Sometimes you may also need to use a plane or sanding block for a perfect finish. Measuring – especially important with door frame, measuring top and bottom to ensure all is square. Cutting straight in timber when required such as foundations. Squaring of the building throughout the process of installation. Understanding plans and applying basic DIY knowledge to them. 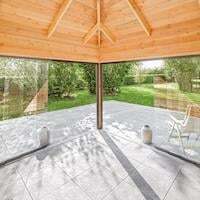 If you have questions about installation or the instructions you will receive with your product please ask us for advice before or during installation, even out of working hours and we will always help. If you feel you need additional help beyond the instructions or our advice please consider a competent fitter. 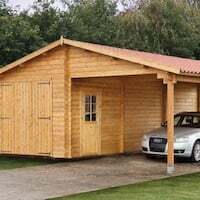 If you are using an installer please ENSURE you also send them this link before they install for you as not all ‘Experienced and Professional Carpenters / Joiners / Builders’ have a clue about a log cabin and, in fact, this group of tradesmen makes more mistakes than your average DIYer who does read the details and takes time over the build. 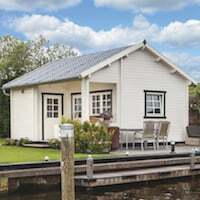 Please see this post for examples of ‘Professionals’ who do not read our instructions and assume as they are experienced they know what to expect with a log cabin. 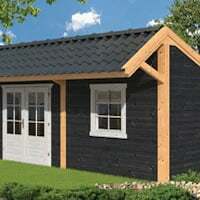 Log Cabin installation page – Please Click for the web page. 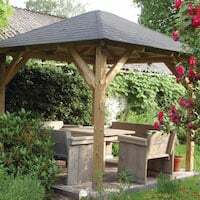 If you require more help with the installation of a gazebo please see this post: Gazebo Installation Advice. 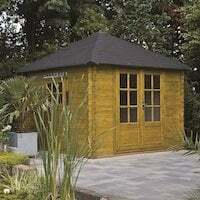 If you are fitting shingles to your Gazebo, please also see this page: https://www.tuin.co.uk/IKO-Felt-Shingles.html and also reference the instructions on the shingles pack. If you need further advice before or during installation please let us know. 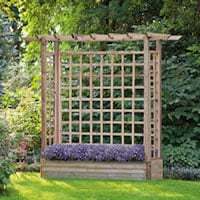 All our products have similar instructions based on plans and drawings. We do not give step by step details as this is mostly unnecessary and can confuse more than a drawing. Please make sure you are able to install with these instruction or if not please ask us for advice and we will help you. If you or your installer cannot follow the instructions or you need more details to carry out the installation please ask us for further guidance and help or perhaps consider using our installation services for your product or make use of our independent installers lists. 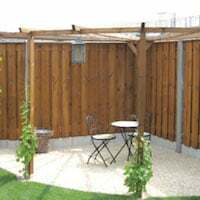 This entry was posted in Tuin Website and tagged instructions, Tuin, tuin instructions by Richard. Bookmark the permalink.